Today we have another entry from “Grandma’s Medicine Chest.” These are “old fashioned” remedies that still work for modern ailments. This time, I’ll be discussing epsom salt, also known as magnesium sulfate. Both magnesium and sulfate perform important functions in the body. Magnesium keeps the enzymes in your body running smoothly while sulfate plays a role in the formation of brain tissue and joint proteins, and it can strengthen the walls of the digestive tract. Bathing with epsom salt causes the body to absorb magnesium sulfate. It also loosens sore and stiff muscles. One way to treat a sprain is to soak the area in a warm epsom salt bath for 10-15 minutes, three times per day. Magnesium sulfate also helps keep skin soft and can help heal sores or wounds on the skin. Be sure to rinse the salt off your body after bathing, because the residue will dry your skin. You can also include baking soda in your epsom bath to further moisturize your skin. If you like, you can add a couple of drops of an essential oil, such as lavender or lemon balm to your bath. 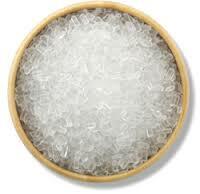 Epsom salt can also be used orally or as an enema to treat constipation. But be careful—ingesting too much epsom salt can dangerous or even fatal. Our nurses recommend Miralax for gentle treatment of constipation. Also be aware that epsom salt baths also have laxative properties. After all, you are ingesting the salt through your skin. While occasional baths don’t generally cause you to take in enough to result in diarrhea, consistent soaking can have an effect on your digestion. Do you remember your mother or grandmother talking about it? Did you ever wonder what it was? What other “home remedies” have worked for you? Does George H.W. Bush Need A Nurse?